Yerba mate is widely consumed as a tea in South America, and it known for its health benefits. In other parts of the world, it is ingested as a dietary supplement in addition to its use as a tea. While the National Institutes of Health has links to numerous studies that verify the benefits of yerba mate, there are also negative side effects that have been documented; these need to be considered before adding yerba mate to your diet. While yerba mate has been reported to have anti-cancer benefits, it has also been shown to be a potential contributor to cancer. A study published in the July 2003 issue of the medical journal "Head and Neck" reports that drinking yerba mate is a risk factor in developing cancer of the upper intestinal tract, such as the mouth, throat and esophagus. One of the many compounds in yerba mate is caffeine, and according to the Mayo Clinic, it contains enough to significantly raise blood pressure and heart rate. Those who are on blood pressure medication or are sensitive to stimulants should avoid yerba mate. When yerba mate is consumed in large doses, it has been found to have adverse affects on the liver. In 1976, the "Journal of Clinical Pathology" released a report that showed that consuming large amounts of yerba mate over the course of a few years can lead to liver disease. 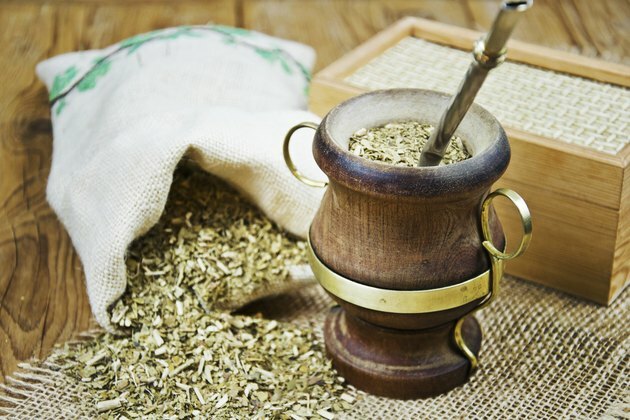 While yerba mate has both positive and negative documented effects, it is best to consult with your medical provider before consuming it, especially as a supplement. This is extremely important if you are on medication for any current medical condition.